School of Energy Science and Engineering, Harbin Institute of Technology, Harbin 150001, China. 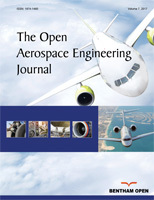 In order to provide a basis for the establishment of an applicable strategy for the development of aero-engine thermal cycles, the evolution of compression processes in aero-engine thermal cycles is reviewed in this paper by analyzing the compression requirements for the injection or extraction of energy. It is therefore concluded that the injection of energy in the compression is required for applications in low speed ranges, for example, the injection of energy in turbojet compressors; the method of adiabatic compression is desirable for applications in intermediate speed ranges, for example, shock interactions for ramjets/scramjets; and the extraction of energy is needed for applications in high speed ranges, for example, the extraction of energy in ramjets with energy-bypass. The injection or extraction of energy in the compression heavily depends on the aero-engine performance required for applications in different speed ranges.